The Wigmore Hall’s Mozart Odyssey continued with four piano sonatas and a fantasia from Francesco Piemontesi. Piemontesi is a thoughtful artist; even when his way would not be mine, there can be no doubting the integrity of his performance. And so it proved here; although I had my doubts concerning aspects of the earlier sonatas, especially his insistence, at times, on playing them in a fashion more ‘Baroque’ than ‘Classical’ – umbrella stylistic terms that throw up more questions than they answer – Piemontesi offered his own performative justifications. 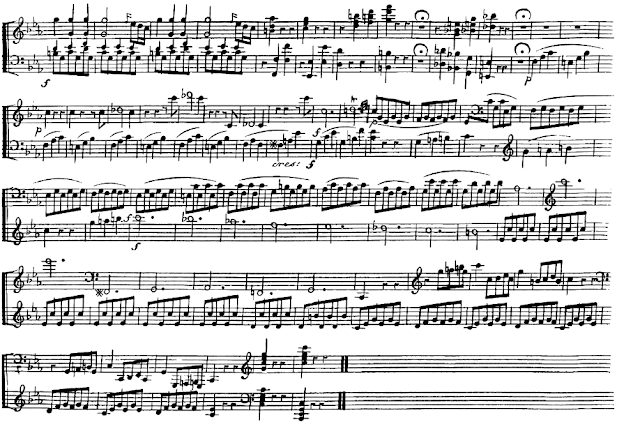 The first sonata, in C major, KV 279/189d, opened with an Allegro that was taken very fast indeed. I was intrigued and, to begin with, not a little perplexed by the way Piemontesi had right-hand arpeggios sound more like ornaments than fully-fledged elements of the melodic line; I had never thought of them like that, but on reflection, could imagine why someone might. He used very little pedal indeed, in a light, almost Glenn Gould-like performance (albeit with more affection than Gould was ever able to summon up for Mozart), this movement in particular often sounding Scarlatti-like. Its development section, however, proved instructive in the pianist’s highlighting, without exaggeration, how the material differed from (i.e., developed) what we had heard before. The Andante was, again, taken pretty fast. Nevertheless, it flowed rather than being rushed. I should not have minded a little more indulgence, especially when it came to quasi-vocal melodic leaps, but the legato was to die for, likewise some wondrous, hushed moments. If the lack of sentimentality in the finale was, in itself, again admirable, I sometimes longed for a more conventionally pianistic treatment, especially in the first group, the second yielding somewhat more, as did the development section. The F major Sonata, next in Köchel’s catalogue, whichever version, immediately sounded, to my ears, better reconciled to the instrument. Perhaps that is partly the work itself, although other pianists (Barenboim, Uchida, et al.) might beg to differ. 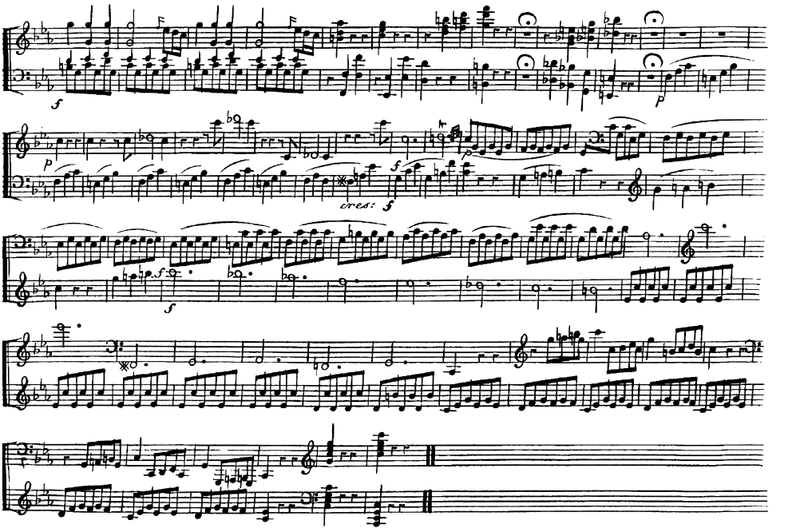 The first movement was not without its ‘Baroque’ or ‘pre-Classical’ elements – another can of worms from which I shall in cowardly fashion shy away – but why should there not be? Terraced dynamics, for instance, certainly have their place here. I admired Piemontesi’s refusal to tone down his fortes; if one has a modern piano, one should use it. The ravishing second-movement siciliano was given its full due, rhythmically, harmonically, offering the greatest pathos, sharply characterised. It was ‘vocal’ yes, sometimes in a well-nigh Gluckian way, but ultimately, incontestably instrumental. Piemontesi’s ear for the longer line proved impeccable too, without that in any sense shortchanging rhetorical gestures. Like the finale of its predecessor, the third movement proved Haydnesque, Piemontesi especially alert to its motivic dynamism. There was, again, a sharp opposition between first and second subjects in the first movement of the B-flat major sonata. Was it too sharp? Perhaps. However, a stern development section, and a splendidly integrative recapitulation conveyed retrospective justification. The slow movement flowed, though not so quickly as that in the first sonata. It was poised, quite without a sense of being hurried, or harried; it subtly yielded too. Piemontesi’s navigation of competing tendencies in the finale dazzled; this was as convincing a feat of integration as I have heard in this music. In the second half, we heard the great C minor Sonata, preceded, as it often is, by the Fantasia, here without a break – and indeed, without the final bars of the Fantasia (rather a good way of doing it, if one must). Piemontesi’s long-term harmonic ear (Furtwängler’s Fernhören) really came into its own here, the possibilities of the opening phrases almost audible at the outset. His legato touch, anything but unvariegated, helped with that too, of course. There was no doubting that this was music of quite another order when it came to emotional and intellectual weight. Mozart’s tour of the tonal horizons truly enthralled – and it all sounded, as great Mozart playing does, so easy! The first movement of the Sonata following on as it did registered as some kind of release in context, although the chiaroscuro afforded by the E-flat major of the second subject asserted different tonal priorities. Wisely, Piemontesi took the first but not the second repeat, the turn to the tonic minor in the recapitulation properly heartbreaking. And so, the music subsided. (Applause suggested some thought that the end of the Fantasia!) The slow movement, one of Mozart’s very greatest, emerged both as great instrumental scena and as something that could only ever have been conceived for, let alone realised by, the piano. Again, line and integration were beyond reproach; above all, they were felt as utterly necessary. The richness of Mozart’s harmonies suggested the C minor Piano Concerto, even Don Giovanni, whilst the turn to A-flat major inevitably brought to mind – as it always does to me under the fingers – the slow movement of Beethoven’s op.13. That section proved, quite properly, both contrast and intensification. The finale sounded, without melodrama, a note of unrelenting tragedy; even in the major mode, intensity of performance and awareness of context did their tragic work. Mozart’s music sounded, as it should, both close to and distinct from Beethoven.